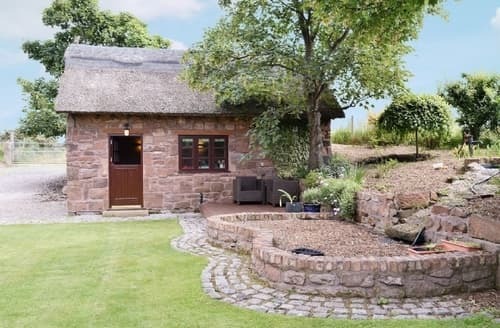 What our customers are saying about our Coastal Cottages In Cheshire To Rent. 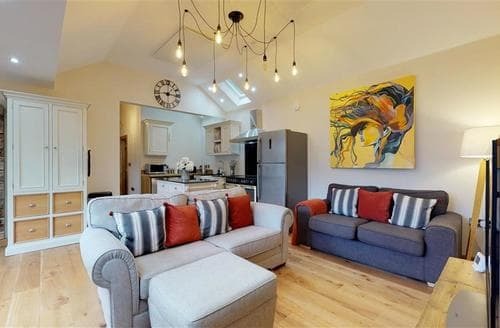 "This is an outstanding holiday home in a tranquil location but within easy flat walking distance of the centre of Liverpool and all that the city has to offer. Everything about this sunny and welcoming house is lovely which makes staying in and relaxing as much of a treat as going out to explore. Catering was made easy by the high quality and user friendly kitchen equipment. There is so much to see and do in and around Liverpool from visiting the superb Royal Albert Docks and museum complex, seeing the city sites via a hop on hop off bus to taking a ferry trip across the Mersey. Further a field are the stunning beaches at Formby – beautiful golden sand stretching for miles with the chance to see the red squirrels that inhabit the National Trust squirrel trail. This was my second visit in 10 months to S59113 (once with friends and this time family) and it didn't dissapoint. I hope to return again one day as the house and Liverpool are a combined experience not to be missed." "Everything about this sunny and welcoming house is lovely which makes staying in and relaxing as much of a treat as going out to explore. Catering was made easy by the high quality and user friendly kitchen equipment. There is so much to see and do in and around Liverpool from visiting the superb Royal Albert Docks and museum complex, seeing the city sites via a hop on hop off bus to taking a ferry trip across the Mersey. Further a field are the stunning beaches at Formby – beautiful golden sand stretching for miles with the chance to see the red squirrels that inhabit the National Trust squirrel trail. This was my second visit in 10 months to S59113 (once with friends and this time family) and it didn't dissapoint. I hope to return again one day as the house and Liverpool are a combined experience not to be missed." "A keysafe would have been useful. When travelling from the southcoast it was notpossible to give an exact time of arrival. The instruction to call 30 mins away was not helpful!, The twin bedroom blind and curtains were of excellent quality but did nothing to keep the sun out at 5 a m The house was well equipped and Lin was friendly and helpful and the superb weather meant we enjoyed the view from the balcony.We could have used a couple of fans but perhaps this is unusual to be so hot in Britain! There was no grab rail in the bathroom which made getting in and out of the shower a little fraught. The house was well maintained and in an excellent position for enjoying all that Liverpool had to offer." "When travelling from the southcoast it was notpossible to give an exact time of arrival. The instruction to call 30 mins away was not helpful!, The twin bedroom blind and curtains were of excellent quality but did nothing to keep the sun out at 5 a m The house was well equipped and Lin was friendly and helpful and the superb weather meant we enjoyed the view from the balcony.We could have used a couple of fans but perhaps this is unusual to be so hot in Britain! There was no grab rail in the bathroom which made getting in and out of the shower a little fraught. The house was well maintained and in an excellent position for enjoying all that Liverpool had to offer." "This property exceeded expectations being well equiped, within easy access to central Liverpool and the best bath-towels ever! There was a sensible welcome pack and informayion about the local area. Buses are frequent and the city centre is Walkable ( honestly). 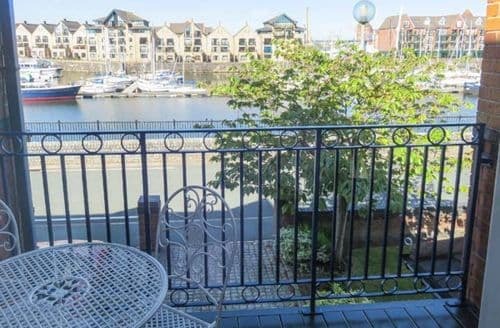 There is a balcony which is ideal for relaxing at anytime of day whilst you watch the boat ply their way up and down the water of the wharf. Shops, pubs, bus stops and restaurants are nearby. There is loads to see in all of liverpool. Museums galore. This is a lovely place to holiday with seating in the garden, a balcony and comfy house"